PARTTEAM & OEMKIOSKS will try to bring another international prize to Portugal ! 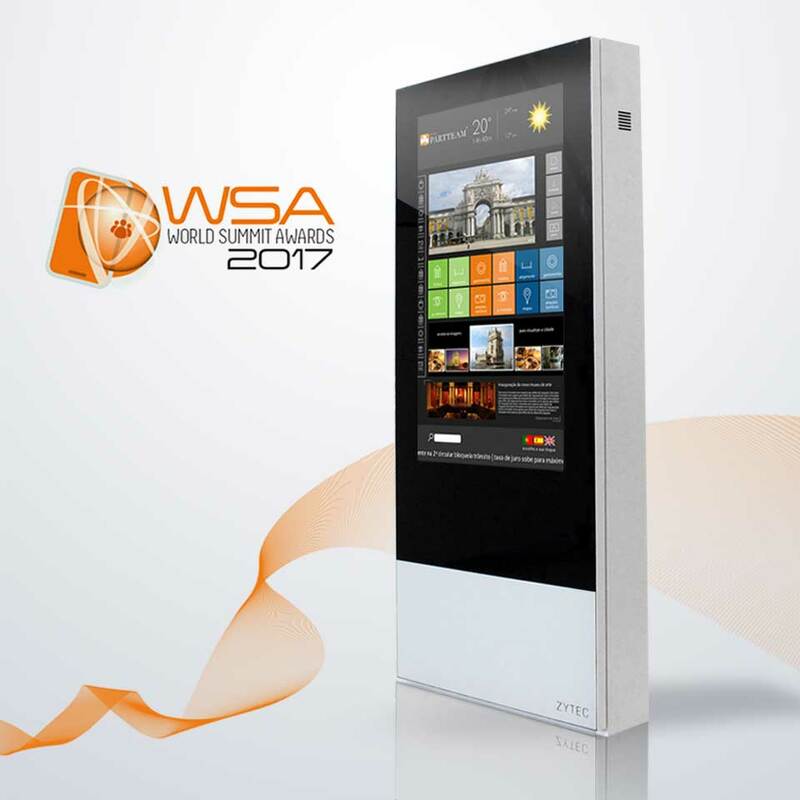 This time, the Portuguese company applied for the WSA 2017 - World Summit Awards, an international competition that has the support of the The United Nations (UN) and which awards digital innovations with impact on society. The product chosen by PARTTEAM & OEMKIOSKS to integrate this competition was the software YPortal , for the category Culture and Tourism. The selection of the projects takes place in different phases, the first being carried out in Portugal by a group of experts coordinated by the APDC (Portuguese Association for the Development of Communications), followed by the evaluation phase by an international jury. YPortal is dynamic and interactive software, being transmitted in multimedia kiosks and digital billboards. An application that allows mayors and merchants to promote the city and its businesses, providing users with information about stores, public services , cultural agenda, etc. The information in tourism continues to be fundamental and PARTTEAM & OEMKIOSKS with YPortal technology emerges as an alternative to traditional forms of dissemination, with the main advantage of contributing to the reduction of costs of production and distribution of this same information.